Browse our landscape lighting accessories for everything you need to complete and enhance your outdoor lighting system. 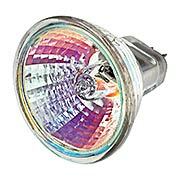 We offer transformers, lamps, bulbs, ground spikes and more. 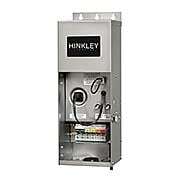 Transformers convert your 120-volt house-hold current to 12-volt. This 900 watt Pro-Series version comes complete with a 3' grounded line cord, and is epoxy encapsulated with a stainless steel enclosure. 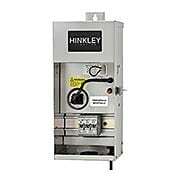 It features (12v-15v) multi-tap outputs and circuit breaker protection. Can be installed on the side of your house, plugged into an exterior outlet, and must be mounted at least 12" above the ground. Transformers convert your 120-volt house-hold current to 12-volt. This 600 Watt Pro-Series version comes complete with a 3' grounded line cord, and is epoxy encapsulated with a stainless steel enclosure. It features (12v-15v) multi-tap outputs and circuit breaker protection. Can be installed on the side of your house and plugged into an exterior outlet, and must be mounted at least 12" above the ground. Transformers convert your 120-volt house-hold current to 12-volt. Our Standard 150 Watt Composite Resin version is a great choice for smaller projects. It features a 12v tap, automatic timer, and photocell. Can be installed on the side of your house and plugged into an exterior outlet, and must be mounted at least 12" above the ground. Transformers convert your 120-volt house-hold current to 12-volt. Our Standard 75 Watt Stainless-Steel version is a great choice for smaller projects. It features 12v and 15v multi-tap outputs for added options when you need when you need more voltage. Can be installed on the side of your house and plugged into an exterior outlet, and must be mounted at least 12" above the ground. 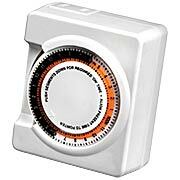 Our Standard Time Clock provides automatic on/off control. Can be used with transformer and photocell for added energy efficiency. 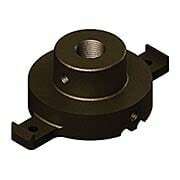 Conserve energy by regulating your landscape fixtures with our Direct Mount Photocell. When used in conjunction with a 12-voltage transformer, it turns your fixtures on when the sun goes down. Add a timer to turn the lights off later at night. Features weather-resistant materials for long-lasting use. 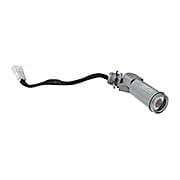 Our 12-volt landscape fixtures take power from a weatherproof, flexible two-wire cable. The Landscape 12-Guage Lighting Wire (500') can be used above or below ground, and generally does not need to be housed in conduit or buried as deep as 120-volt wiring. Its stranded composition makes it flexible for easy installation and relocation. Measure the distance from the last fixture on the run to the transformer to calculate the amount of cable needed. Add 1-2 feet of cable per fixture to allow for repositioning. Our 12-volt landscape fixtures take power from a weatherproof, flexible two-wire cable. The Landscape 12-Guage Lighting Wire (250') can be used above or below ground, and generally does not need to be housed in conduit or buried as deep as 120-volt wiring. Its stranded composition makes it flexible for easy installation and relocation. Measure the distance from the last fixture on the run to the transformer to calculate the amount of cable needed. Add 1-2 feet of cable per fixture to allow for repositioning. 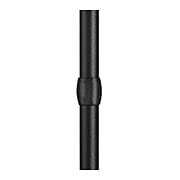 Our 12-volt landscape fixtures take power from a weatherproof, flexible two-wire cable. 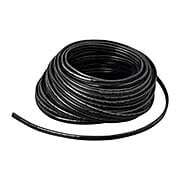 The Landscape 12-Guage Lighting Wire (100') can be used above or below ground, and generally does not need to be housed in conduit or buried as deep as 120-volt wiring. Its stranded composition makes it flexible for easy installation and relocation. Measure the distance from the last fixture on the run to the transformer to calculate the amount of cable needed. Add 1-2 feet of cable per fixture to allow for repositioning. The T4 Halogen Lamp is the go-to bulb for various types of landscape fixtures. Available in 10 and 20 watts. It is rated for 2,000 hours with a 360° beam spread. The Landscape MR11 Halogen Lamp is the go-to bulb for various types of landscape fixtures. Available in 10 and 20 watts. It is rated for 2,000 hours with a 30° WFL beam spread. 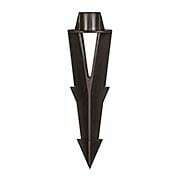 Our 12-Inch Path Light Stem is used for mounting outdoor fixtures above ground. Made of weather-resistant aluminum. 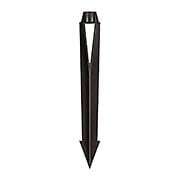 Made of corrosion-resistant composite, our ground spike is used to securely mount low-voltage fixtures, a must for any landscape lighting installation. The attached junction box allows you to connect multiple lines of your lighting design. Can be easily relocated every several years to adjust for the natural growth of trees and plants. 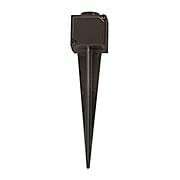 Used to securely mount low-voltage fixtures, our Ground Spike is a must for any landscape lighting installation. Wide flanges add stability, while corrosion resistant composite construction promises long-lasting use. Can be easily relocated every several years to adjust for the natural growth of trees and plants. 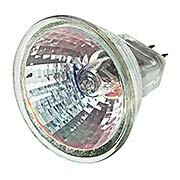 The Landscape Lighting MR16 Halogen Lamp is the go-to bulb for various types of landscape fixtures. It is rated for 2,000 hours and is available in 20, 35, 50 and 75. 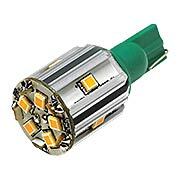 The Landscape Lighting MR16 Halogen Lamp is the go-to bulb for various types of landscape fixtures. It is rated for 2,000 hours and is available in 20, 30, 50 and 75. Our 18-Inch Path Light Stem is used for mounting outdoor fixtures above ground. Made of weather-resistant aluminum, it comes in your choice of two durable powder-coated finishe options. This Landscape Lighting Mount is designed for mounting a spot light onto a tree trunk. Made of weather-resistant aluminum, it features a durable, powder-coated finish for long-lasting use. 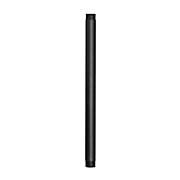 Our 24-Inch Path Light Stem is used for mounting outdoor fixtures above ground. Made of weather-resistant aluminum, it comes in your choice of two durable powder-coated finishe options. 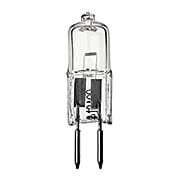 The T4 Halogen Lamp works with various types of landscape lighting fixtures. 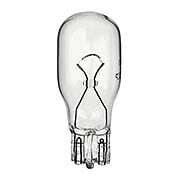 Available in 50 watts. It is rated for 2,000 hours with a 360° beam spread. 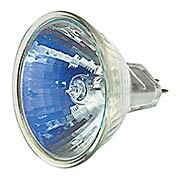 Our energy efficient T3 LED Lamp delivers exceptional lighting that lasts up to 35,000 hours. 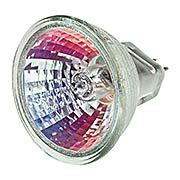 Omni-directional light offers true 360° output, excellent for use in pathway type fixtures. Our energy efficient T5 LED Lamp delivers exceptional lighting that lasts up to 35,000 hours. 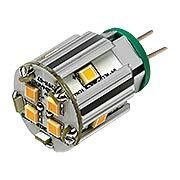 Omni-directional light offers true 360° output, excellent for use in pathway type fixtures. 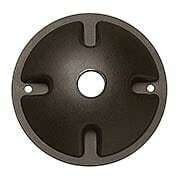 The Landscape Wedge Base is the go-to bulb for various types of landscape fixtures. This 7W version It is rated for 1,000 hours with a 360° beam spread. 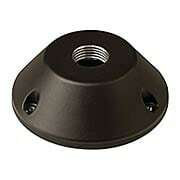 The Landscape Wedge Base is the go-to bulb for various types of landscape fixtures. 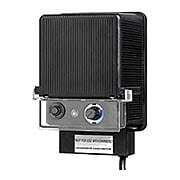 This 12W version It is rated for 2,000 hours with a 360° beam spread.